As Chief Operating Officer, Kurt is responsible for the day-to-day operations and successful execution of the firm’s investment strategies. His duties include oversight of all asset and property management functions, leasing, development, construction supervision, human resources and other real estate operational functions. Further responsibilities include assisting in the financial capitalization and acquisitions to expand Brixton’s real estate platforms. Most recently, Kurt was President of Blue Sky Basin Realty Partners, which he founded in 2014. The firm specialized in middle market assets across multiple product types in the Southern California market. Prior to his tenure with Blue Sky, Kurt was Executive Vice President and was responsible for directing overall investment activities at The Abbey Company, an owner and operator of commercial real estate. He played a critical role in doubling the firm’s portfolio to six million square feet. While at Abbey Co., he held various roles in asset management, leasing, finance and acquisitions. 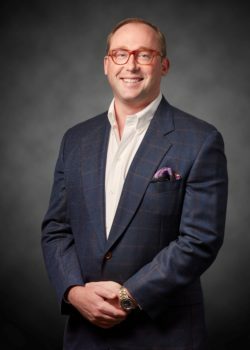 He has been directly involved in transactions valued in excess of $1 billion across thirteen million square feet and played a pivotal role growing the firm’s joint venture partnership relations. Kurt holds finance degree from Pennsylvania State University and certificate in real estate finance from University of California, Los Angeles. He is a member of NAIOP and was selected to be part of YPG program for NAIOP SoCal chapter. He is a license real estate broker in the State of California. Contact Kurt at (858) 683-7100 or kkaufman@brixtoncapital.com .